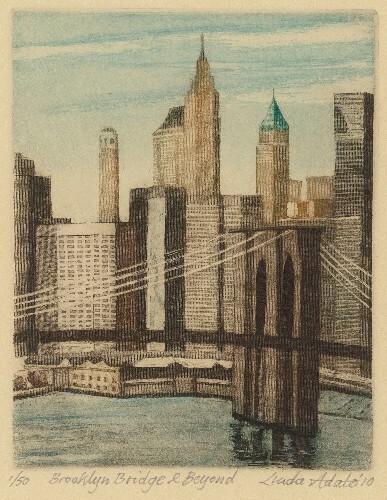 My etchings depict diverse architectural themes: New York City skylines, buildings and bridges, and from my own backyard. I work in the printmaking techinique of intaglio in which areas etched are below the surface of the plate. 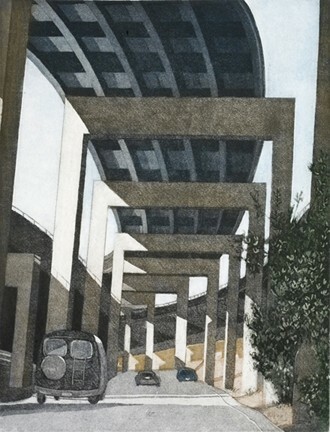 techniques of line, aquatint and soft ground lend themselves well to finding the lights and rich darks in these images. The colors are a challenge to determine and their configuration becomes an integral aspect of the etching. 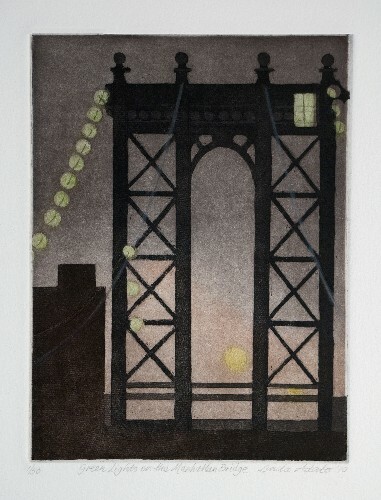 Color etching and aquatint. Two plates. 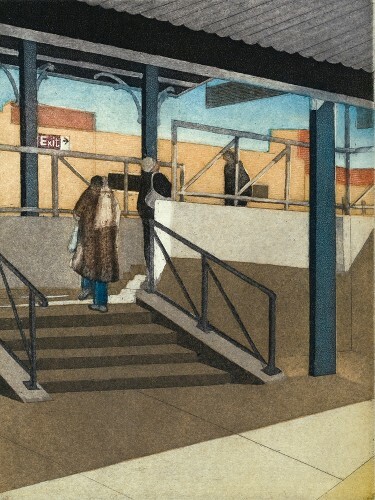 Color etching, aquatint and soft ground. 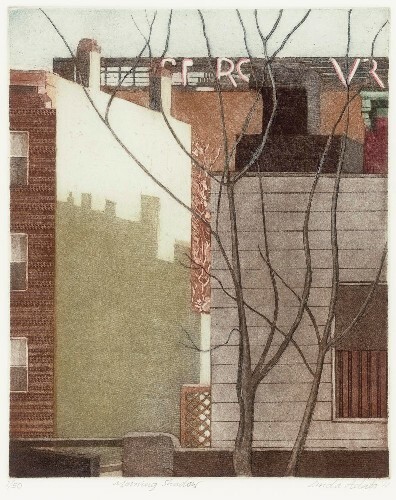 Color etching, aquatint and soft ground. Diptych. 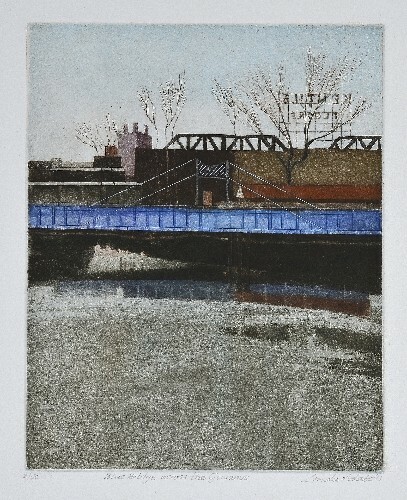 Color etching, aquatint and soft ground. Two plates.